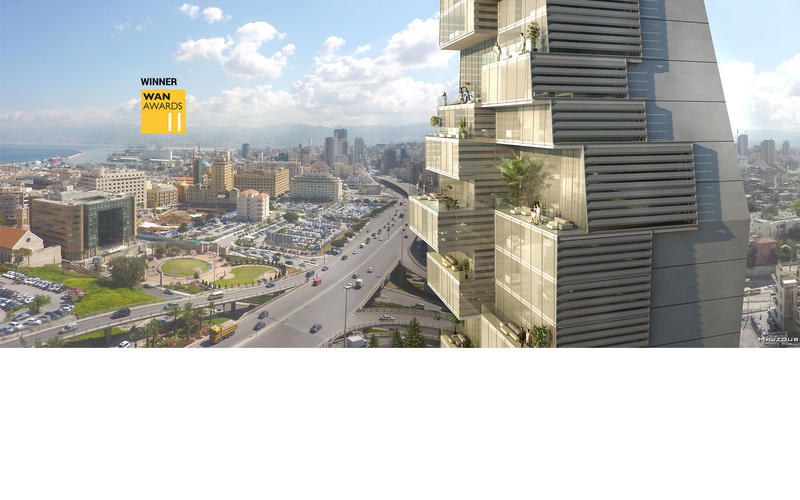 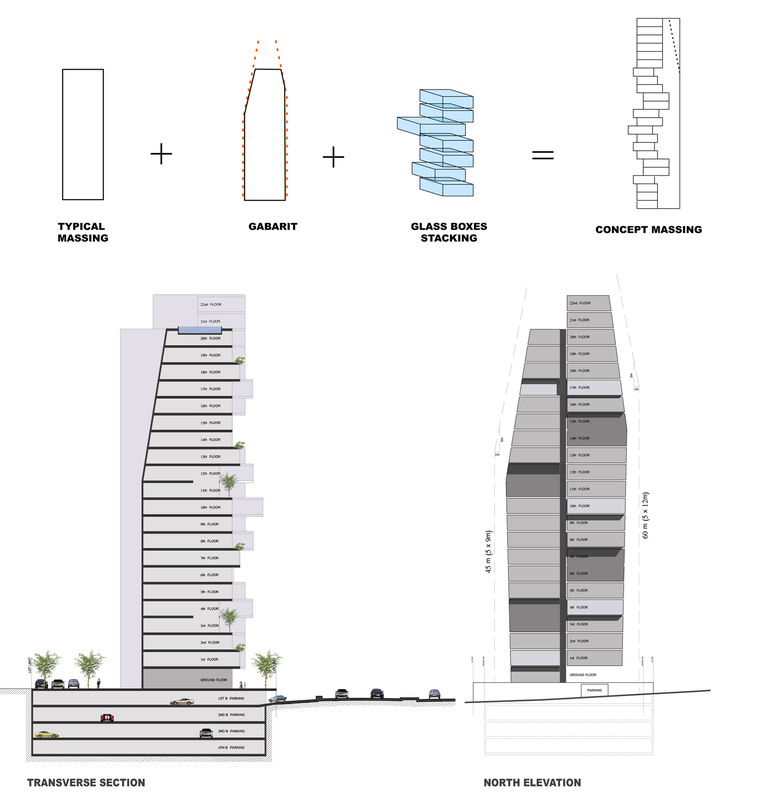 WORLD ARCHITECTURE NEWS - "Accent DG 2011 WAN Awards Residential Winners"
ARCHITECTURELAB - "Beirut Residential Building, Beirut/Lebanon by Accent Design Group"
The volume’s composition consists of a smoothly rising stack of glazed-unit apartments; this simultaneously generates diversity and a sense of unity. 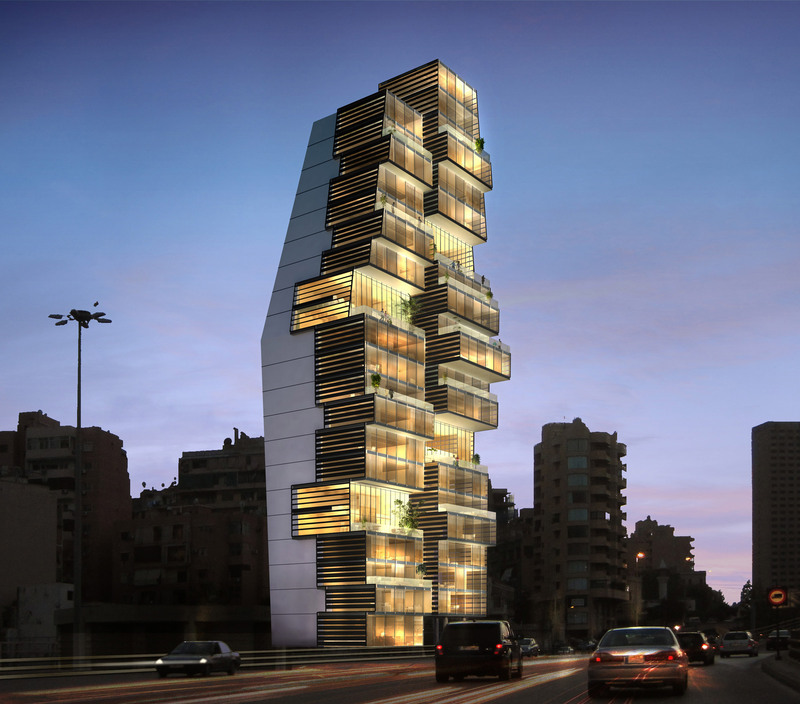 The cantilevered balconies and terraces take their irregular form from the urban fabric of Beirut, shifting it from a horizontal spread to a vertical composition. 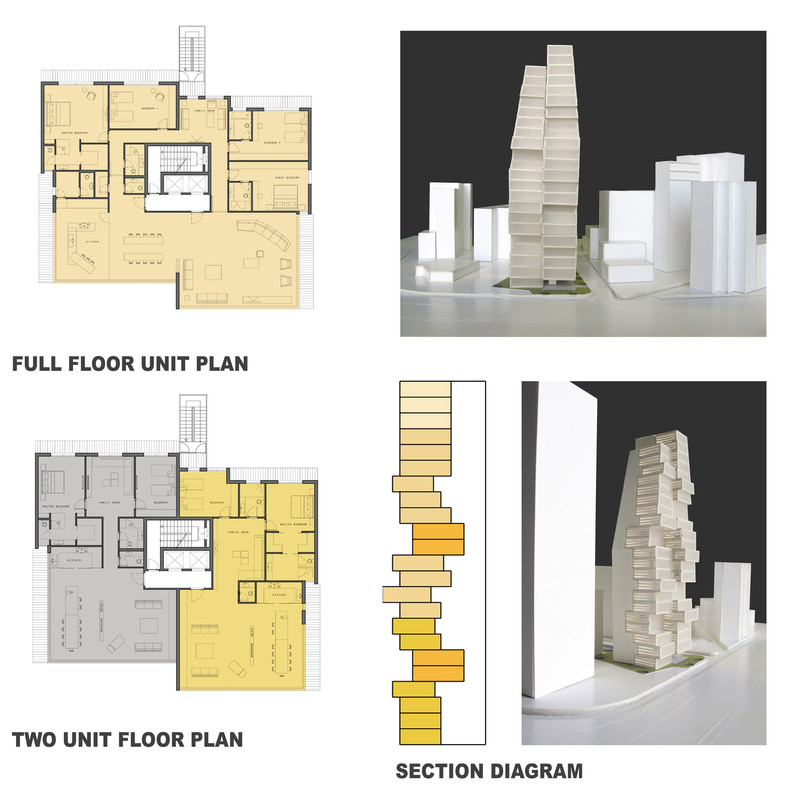 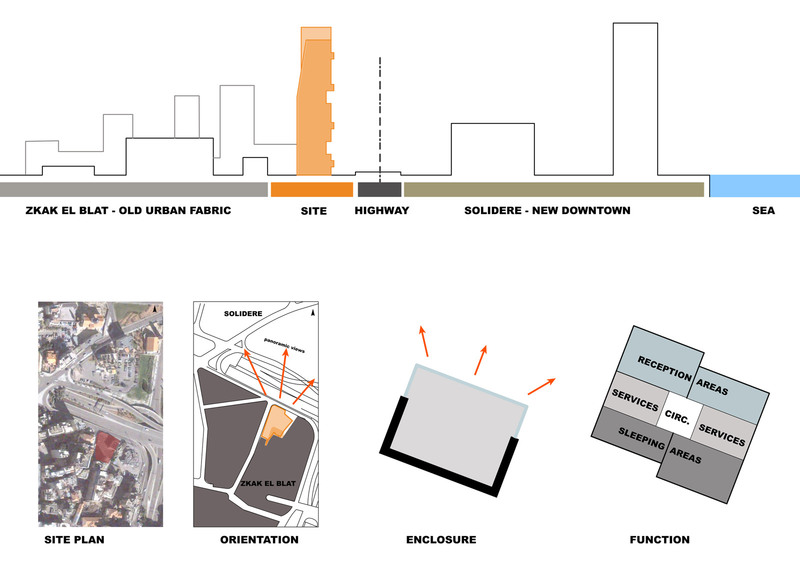 Shading louvers fulfill several functions: protect against excessive sunlight from the east and west, maintain privacy for the units, and provide the prospect for a vertical ‘green’ screen which would act as a unifying element of the façade. 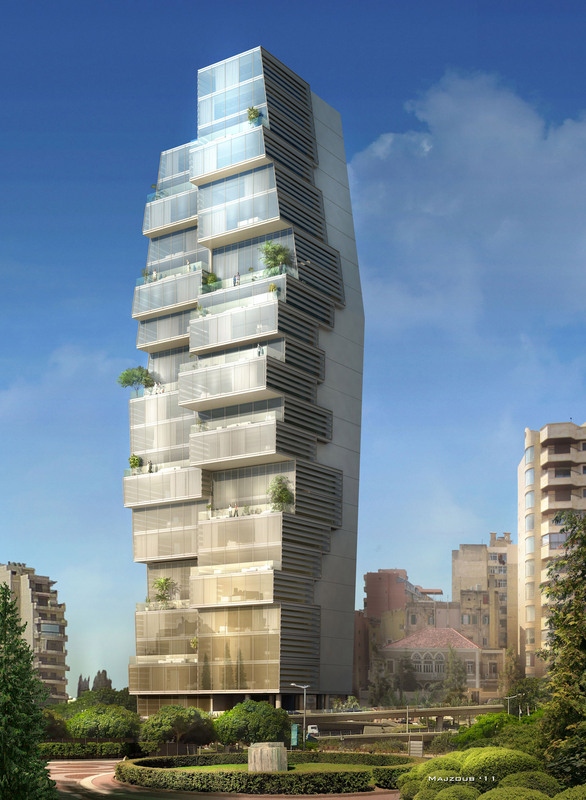 Beirut Observatory avoids unnecessary and clichéd “architectural gymnastics” yet still offers a refreshed take on the residential tower.